Apologies to all who received draft notes on ‘Everlasting Life (17) Eternal Life (30)’, please delete and wait for the final polished post. I may have to perform some excorcism to get these goblins out of my computer system. 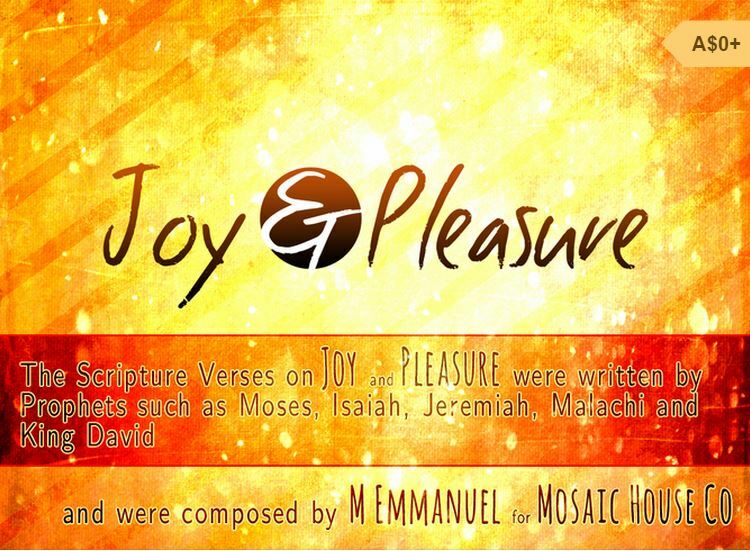 As an apology for this blooper please accept some joy in return and download a collection of verses from the Prophets on Joy and Pleasure by clicking on this link. The book is good to go, just click zero.